It's a long weekend here in Queensland - celebrating Labour Day today. I've had a great weekend sewing. Down to 3 kids - makes life so much easier. DH is away with three at my brother's place. One is on a scout camp and one is at a friend's place. Lots of sewing done. I even got a Christmas gift finished - but know that it's not in time for Allie. However, it is a finish!! This is a hexagonal quilt I've been working on for a few years. Made entirely of 1/2 inch hexagons. 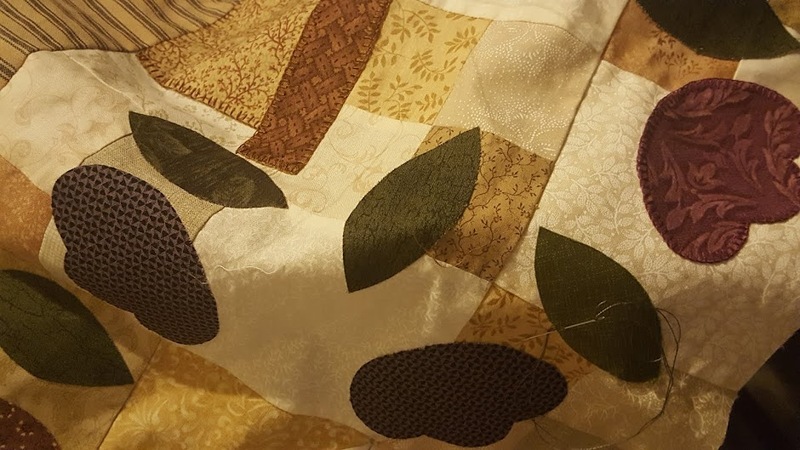 It was in Australian Patchwork and Quilting a few years ago. It's been lots of fun, but very slow going. But as Confucius says - every journey begins with the first step! These are the hexagon flowers for the border of the quilt. I've been making one of these for each diamond shape I make. There is also a border of multi coloured hexagons, so I've been working on this as I've been going as well. I didn't get a picture of this - next time. These are my 1 inch hexagons. Making these for the border of a quilt and also for the Vignette Hexagon Quilt by Leanne Beasley. Once I get them all made, I'll divide up the colours. I'm hoping to get the other quilt finished in the very near future. I forgot to take a picture of the Xmas project. I have to take number two son to rehearsals for the Rock Eisteddfod he's involved in through the High School and I believe that I am going to be involved in the making of 85 tutus while I'm there. Never made a tutu before so it should be interesting. LOVE the hexies, I'm making the same pattern!! Beautiful finished quilt top and I'm loving all the hexagon flowers!!! !